Fashion, Fun, and Glitz – All We Need is You! We’ve brought together some of the best businesses in the area under one roof and they are eager to share their information, products, and samples with you. 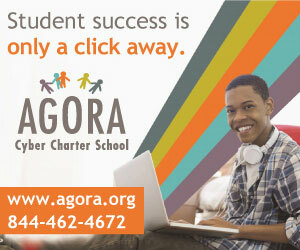 Don’t let them down; go online and register to attend today! Our first event of the spring is the Dauphin County women’s expo on March 12, 2016, at the Hershey Lodge, 325 University Drive, Hershey, from 9 a.m. until 2 p.m. If you’ve never been to Creative Elegance Boutique, you’re missing one of the chicest clothing stores in the area, with brand names you love to wear. They’ll be featuring that attire on center stage during the fashion show at noon. Spring will be popping and before we know it, summer will arrive. Pat Stefan from Stauffers of Kissel Hill will show us how to assemble the perfect container garden so you’ll be the talk of the neighborhood. Justin Wire, makeup stylist and artist, will show us quick and easy ways to take your makeup from day to night with tips and tricks that every woman wants to know. Dawson Flinchbaugh, owner of the popular Flinchy’s Restaurant, is going to show us how to create speedy meals on the fly. Stop by the Pamper “U” Zone. Guys and gals from Empire Beauty School will be offering free haircuts and mini manis. Heating up the expo again this year is the Hottest and Bravest Firefighter Contest. In support of the “Hottest of ” Disaster Recovery initiative by Jaime Novinger-Toigo, owner of Service 1st Restoration & Remodeling, votes will be taken at the women’s expo and will help raise money for each firefighter’s respective station. ($1 donation for each vote.) The firefighter strut will take place at 1:15 p.m. on center stage! Don’t miss it. 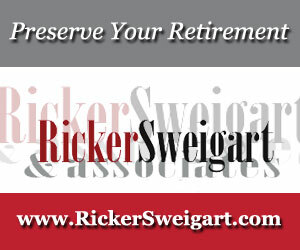 There will be lots of door prizes, including gift baskets and gift cards. Some lucky women could even win a Coach purse or an auto emergency supply kit valued at $400 value, 50 percent off a custom storm door (about a $500 value), a $1,000 gift card from David’s Furniture, or an exciting Hershey Harrisburg wine tour for eight via limousine from our prize sponsor Premiere #1 Limousine Services! Other sponsors of the Dauphin County women’s expo include Freedom Auto Group / A Life Improvement Company, Jackson Siegelbaum Gastroenterology, Tanger Outlets Hershey, FM 90.3 WJTL, Hot 93.5, Nash FM 106.7, WHTM abc27, and WINK 104. But spring events don’t end there! The Lancaster County women’s expo is returning April 30, 2016, at Spooky Nook Sports, 2913 Spooky Nook Road, Manheim, from 9 a.m. until 2 p.m.
to take home Jodie’s demonstration container garden. You and your friends are invited to take a break in the Bella Oasis, a special area within the expo where you will be treated to hair blowouts and mini manis by professionals from Bella Voi Hair and Nail Studio. 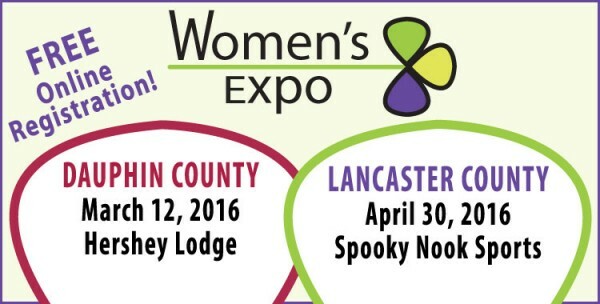 Sponsors of the Lancaster County women’s expo include Blossom Med Spa, Heritage Floors, Jackson Siegelbaum Gastroenterology, 96.1 SOX, The Big I 105, Blue Ridge Communications, LCTV, WARM 103.3, WDAC, WFYL, WHTM abc27, and WJTL. Featured at both events are free spa treatments; food samplings; vendors proffering jewelry, cosmetics, skin care collections, nutritional and weight loss products; and more. Of course there will be ample opportunities for some retail therapy.